A lot of homeowners are under the impression that garage floor coating contractors near you are not really needed. They feel that what they do is an unnecessary expense. A common thought is garage floors are supposed to be used and abused anyway, so there’s no point in coating them, but that is not true and will just lead to early deterioration. Most homeowners go for a garage floor that is made out of poured concrete slab. This is a cost-effective option that will do its job. The problem is it’s a magnet for dirt and stains. The dirt that your car will drag in will cover the garage floor and this will lead to ugly marks and stains. Soon, this will also lead to cracks. There’s the obvious problem of bad aesthetics when these happen. You’ll end up hating how messy it looks. The cracks can also damage your vehicle’s tires. Worse, it will lower the value of your home which could be a problem if you decide to sell. Read our guide on how to sell your house fast and how you increase the value of your home too. A coating can make it look smoother and more inviting. Overall, it will improve its overall appearance. It can help provide protection. It basically adds another layer of protection. It can help prevent premature cracks. It makes the flooring easier to clean. The coating will not stop your car from dragging in dirt, but it can act as some sort of a repellant. The smooth surface will make it easier to clean. It gives your car better traction. With the absence of dirt, stains and cracks, your car will have better traction. This makes coming in and out a breeze. With these benefits, you just know that it’s a minor investment that you have to make. A lot of garage floor coating companies will recommend epoxy coating. This option presents a lot of options because of its different permutations. This is probably the most popular option because of its appearance. It’s also very durable. Once it hardens, you get a coating that is resilient to chips, impacts, chemicals, abrasions and stains. You don’t really have to worry if you drop something on the floor. A good epoxy coating applied by a trained contractor can handle it. This type of coating is also thicker. This means that it can cover minor imperfections like spider cracks and similar flaws. Epoxy is considered to be a topical sealer so it repels dust as well. Besides, most of the dust in your garage is due to the cement floor shedding anyway. As an added benefit, an epoxy coating can resist moisture. This is why it’s highly recommended for areas that receive a lot of rain and snow. A skilled and experienced DIYer can handle the coating but it’s recommended that you just hire a professional. This is because there are several steps involved and each step should be done perfectly for it to do its job. It starts with a primer. This will be the sealant that will seal the concrete. It will also serve as an efficient base coating. Next up is the body coat. This is the fun part because it comes in several different tints, allowing you to choose a tint that’s really pleasing for you. You can play it safe with a plain tinted flooring or you can choose from different epoxy color chips. This is something that you should really consider. Tiny flecks will be distributed across the garage floor and this process will add color, texture and character. There are countless of paint chips and tins available, which means that the possible color combinations are endless. You can also consider metallic epoxy. This is a good option if you’re after a modern appeal. This is achieved by treating the body coat with solvent right after its application. This leads to small craters and dips that will then be sealed with a topcoat. This leads to having textures and dynamism on your garage flooring for that modern appeal. These are just some of the options that will be presented to you by experienced garage floor coating companies. You don’t have to worry because all of these options will do a great job. It’s just a matter of your personal preference. As you can see, there are several benefits to having your garage flooring coated. You can only experience these benefits if the right man for the job is hired for it. There are also several options and you need expert recommendation in order to choose the best one for you. Make sure to start with your search in your local area. Ask around and create a shortlist of 3 or 4 of the best and most experienced garage flooring coating companies in your area. 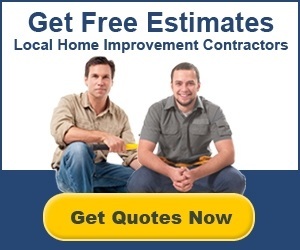 Ask them for an itemized quote so you can compare your options. Make sure that they include the type of coating that they’ll use in the quote, which will show you what type they specialize in. Coatings are meant to protect your flooring so it’s also a good idea to discuss warranties and guarantees. This is to make sure that you’re protected against faulty workmanship.